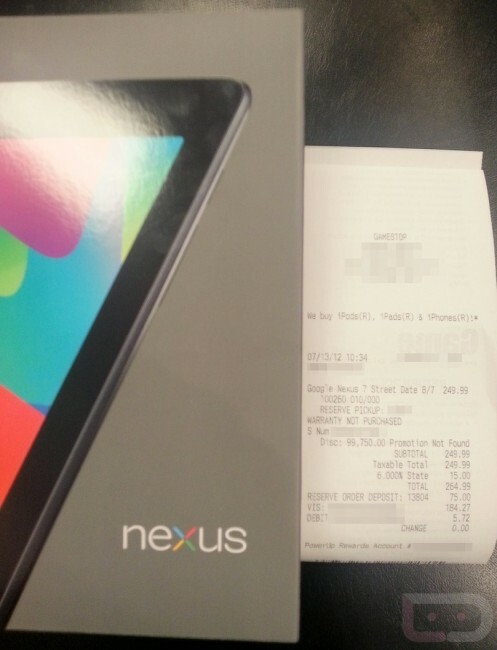 At least one lucky Gamestop pre-orderee is walking around with a new Nexus 7 today. After receiving a text that his pre-order was ready to be picked up, he went into his local store and came out a winner. It’s still not clear if any other Gamestop on the planet is selling the device today or if this reader of ours simply got lucky. Whatever the case may be, a quick call into your nearest store to see if they are able to sell isn’t a bad idea. Update: From what we are hearing, Gamestop is allowing pre-orders to be picked up. If you did not pre-order, they likely won’t sell you one.